Home » Videos » “The Geese Parade” I Have No Idea How They Do It. Their Confidence Blew My Mind Honestly. “The Geese Parade” I Have No Idea How They Do It. Their Confidence Blew My Mind Honestly. 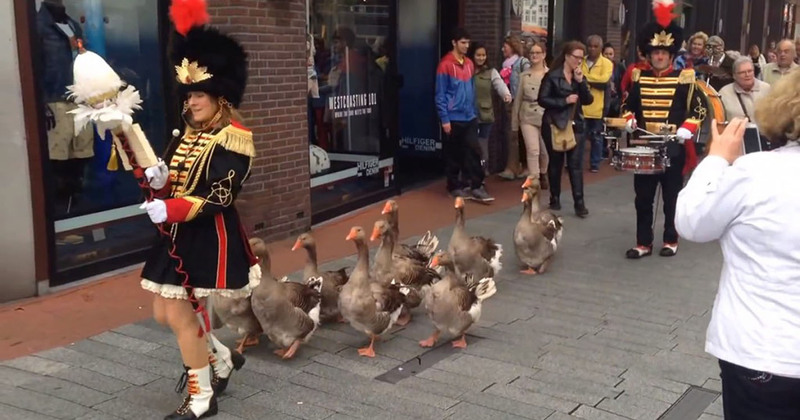 Passerby’s are entertained by “The Geese Parade”, an unusual marching parade originating in Lichtenvoorde, Netherlands, as they march down a busy sidewalk while visiting the town of ‘s-Hertogenbosch. Please SHARE if you find this cute and funny!